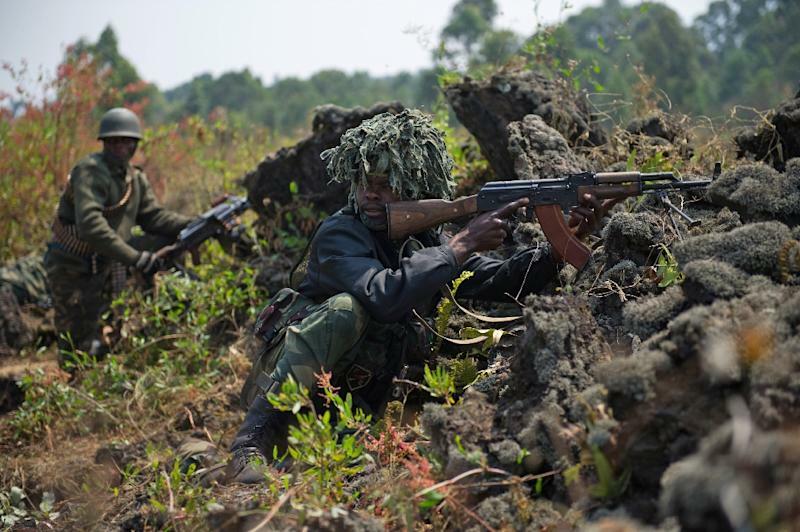 Goma (DR Congo) (AFP) - Six civilians have been killed in three separate attacks blamed on Ugandan rebels in the troubled east of the Democratic Republic of Congo, local authorities said Tuesday. The gun attacks happened within two hours of each other on Monday in the restive north of North Kivu province, from which many locals have been evacuated after a string of massacres blamed on the Ugandan Allied Democratic Forces (ADF). "We recorded six deaths yesterday," Amisi Kalonda, the administrator of the Beni area told AFP from the provincial capital Goma, blaming the ADF for the killings. "Four civilians were killed at Tenambo, one at Mukoko and another at Linzo-Sisene," he added. Army spokesman Lieutenant Mak Hazukay confirmed the shootings and also said the rebels were responsible. The mainly-Muslim ADF are accused of slaughtering more than 400 villagers over the past year around Beni, mostly with machetes. The group has been active in the region, which has been devastated by more than two decades of strife, since its fighters were driven out of their homeland in 1995. In recent weeks they have switched to gun attacks mostly concentrated along National Road No. 4 which links Beni with Orientale province to the north, targeting drivers and passersby. The leader of the rebels, Jamil Mukulu, was arrested in Tanzania in April and then extradited to Uganda three months later.